The Avoyel culture is similar to the practices of the southern Hopewell tribes of the Ohio River Valley. This is evident through the Mounds found at the Marksville Site. There is an Archeological period named after the Marksville site which dates back between 1 and 400 A.D.. This period was when the mound building was at it's peak. The Avoyel-Taensa Tribe/Nation of Louisiana, Inc is based in Avoyelles Parish La. 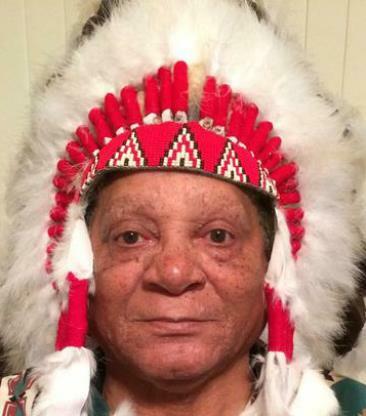 The Avoyel Indians are considered to be the indigenous tribe of Avoyelles Parish with it's ceremonial site in the present day town of Marksville, La. The Avoyel-Taensa Indian Tribe of Louisiana has Tribal t-shirts for sale at the office in Marksville. The proceeds will help to defray the costs of our tribal expenses. These t-shirts will be sold for $16.00 & $17.00 each. Please call 318-240-8424 or come by the office at 320 Cottage St., #B, Marksville, La for further details. 1.Promote the common good and well-being of the Tribe. 2.Protect and preserve our culture and traditions including our language, arts, crafts, and archaeological sites. 3.Protect our land, water, and natural resources. 4.Promote and protect the health and welfare of our people. 5.Encourage and promote educational opportunities for the members of our Tribe. 7.Protect the individual rights of our members. 8.Acquire additional lands for the benefits of the Tribe. 9.Promote self-government and ensure the political integrity of the Tribe. 10.Preserve, secure, and exercise all the inherent sovereign rights and powers of an Indian Tribe. In an effort to better serve our tribal members and our community with information concerning our organization, we have prepared this website. It is here that vital information concerning our cultural history, programs, upcoming events, board meetings and other newsworthy information can be found. We hope you find this site both informative and enjoyable. • www.doi.gov/bia - U.S. Dept. of the Interior, Bureau of Indian Affairs. • www.indianaffairs.com - Office of Indian Affairs for the State of Louisiana. • www.indiancountrytoday.com - The world's largest Native American news source. • http://en.wikipedia.org/wiki/Native_Americans_in_the_United_States - Native Americans in the United States. • www.nps.gov/popo - Louisiana State Park Services location containing some of the largest prehistoric earth works in North America. Photo of one of our Tribal Indian burial mounds, located in Marksville City Park. Fried Fish Dinners for sale!! !